Recently we celebrated the 400th anniversary of Shakespeare’s death. The bard’s continued relevance surprises (in a pleasant sort of way) all literature aficionados. Social media was flooded with many quizzes about Shakespeare’s works, and anyone with any nodding acquaintance with even a few of his plays would have scored high on those quizzes. I particularly liked the one that the London’s Guardian ran where readers had to identify whether the quotes were from Shakespeare’s corpus of work or from Miguel de Cervantes’s (take the quiz here: Shakespeare/Cervantes; I scored 8/10). Apparently, Cervantes also died on the same day as Shakespeare (23 April 1616). The Guardian, among other newspapers, reported that according to a British Council survey, Shakespeare was more popular in the emerging economies (India, China, Mexico, and Turkey, among others) than in Britain. The report explained that the low percentage of popularity for Shakespeare’s works in Britain was because Britons were taught Shakespeare in his original while in other parts of the world students often studied him in translations that used a more contemporary language. That may perhaps be true. I studied Shakespeare’s Romeo and Juliet (in a more accessible version) when I was in middle school, and it is one of the two only things that I remember about being in Grade 8 so many years later (the other, of course, is the unforgettable Noorsultan Daruwala). However, what has kept Shakespeare alive and relevant in India is the frequent adaption of his plays by popular Hindi cinema. There have been countless depictions of Shakespearean plays in Hindi cinema, and directors such as Gulzar (Angoor) have successfully Indianized the bard’s creations. More recently, a director who has interpreted Shakespeare in a breathtakingly original manner is Vishal Bhardwaj. 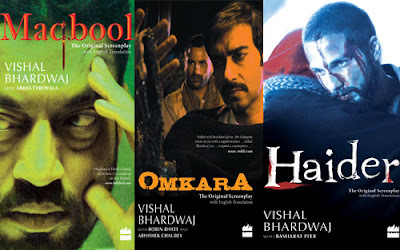 His trilogy Maqbool, Omkara, and Haider are cinematic masterpieces. Maqbool (2003) reinterpreted Macbeth in a contemporary Bombay underworld setting, and treated the audience to a rare cameo by two of Hindi cinema’s stalwarts – Naseeruddin Shah and Om Puri, who played two middle-aged cops (originally the two sisters in the play). The film brought into limelight Irrfan Khan (Maqbool), who along with Tabu (Nimmi), plot to murder Pankaj Kapur (Abbaji). Omkara (2006) reinterpreted Othello. Bhardwaj sets the tragedy in rural India which remains in the stranglehold of political goons (mostly upper caste), who do as they please to gain political power. A competent set of actors turned the film into a gripping drama, with Saif Ali Khan (as Langda Tyagi) turning in a performance of his lifetime. Gulzar’s raunchy Beedi Jalaile set to tune by Bhardwaj and filmed on Bipasha Basu defined the film. The tragic dénouement was filmed with perspicacity and sensitivity. Haider (2014) was Bhadrwaj’s reinterpretation of Hamlet. Set amidst the turmoil of Kashmir, the film is a bold portrayal of the contemporary realities of the desolation of Kashmir, both of the place and the minds of its people. The film belongs to Tabu, who gives a performance that will be remembered decades later. Shahid Kapoor also gave his career-best performance. 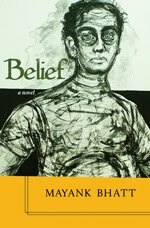 By setting the trilogy in a contemporary Indian milieu, Bhardwaj makes Shakespeare relevant to the Indian audience. Through his mastery at storytelling through his films, Bhardwaj succeeds in transcending the limitations of language and succeeds in reaching out to a global audience. Not surprisingly, the trilogy has won much acclaim in India and globally. Of course, the main reason for the critical and popular acclaim of the films is the strong stories and characters that Shakespeare created in each of the plays.